Garmin edge elevation accuracy issues? 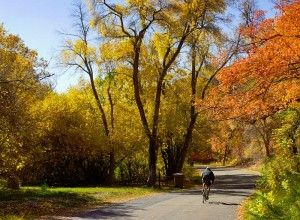 Cycling, Garmin, Strava, tutorials, tips & tricks. Which Garmin is right for me? You are here: Home / Cycling / Garmin edge elevation accuracy issues? If your ride data shows erratic elevation data, particularly in wet weather, there is a surprisingly simple solution. He replied that he’d noticed a correlation between crazy elevation data and the onset of rain. In other words, the elevation would appear normally when viewing the ride in Strava or Garmin Connect, right up until the point it started raining, and then the profile would resemble an alien landscape, in an earthquake. Rain in the hole = bad elevation data! He put it down to the sensors being exposed on the front of the unit, and they clogged up with rain, which messes up the accuracy. I’ve never experienced this with my own ride data, as far as I can recall, and the only difference between our set up was that mine was wearing the protective silicone case (and it always has). This could explain why I’ve never seen weird elevation charts on my rides, even when it rained. The silicone case covers the sensor holes, preventing them from getting clogged with water, and you get consistent, reliable elevation data recording. 3. Get a silicone caseto protect your device. They come in a range of colours too, and the rubbery absorbing properties may also provide some protection from bumps and knocks if you drop it on the floor. 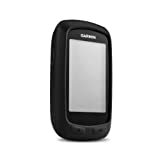 Another tip for when the rain has affected your elevation readings is to load your ride onto the Garmin Connect site and enable elevation correction. The new ride data can then be saved to a file and uploaded to Strava or elsewhere. Check out this amazing range of colours, you could get a different one for each day of the week! 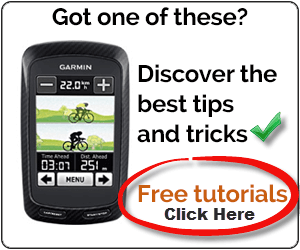 Do you need more Garmin help? ScarletFire is hosted by TSOhost. Use promo code SCARLETFIRE to get 10% off your hosting package. Copyright © 2019 · Disclaimer · Site created with Genesis Framework, by StudioPress.